This work is insightful and extremely thought provoking, although I didn't always agree with the leaps the authors made. I feel it requires another look, and it is going on my list of books to re-read. 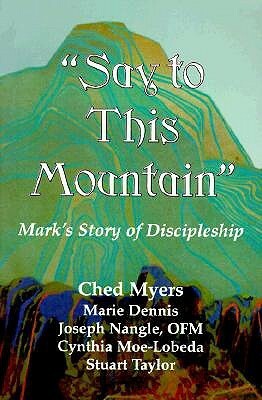 This is a great popular level remix of Myers' classic work "Binding the Strong Man: A Political Reading of Mark's Story of Jesus" with a more devotional flavor to it. It was designed with the thought that it could be used in a small group setting. Myers' works on the gospel of Mark are quite literally a radical re-visioning (or to use a Markan motif "to see again") of this incredibly well loved story. His commentary and socio-literary-historical insight helps one to see Mark from its first century social location and provides the reader with numerous "a-ha" moments. While I may not agree with all of Myers conclusions, I highly commend his studies for those who want to think seriously (especially if one wishes to engage in the work of social justice/transformation) what discipleship might mean in the 21st century. Fabulous! Study of Mark in New Testament by Ched Myers -foremost Markian scholar. Examines the texts in context and I learned So Much!!! Easily digestible and perfect for a small group context. Some of the life application sections were a bit wack though. The author is Ched Myers, et al.